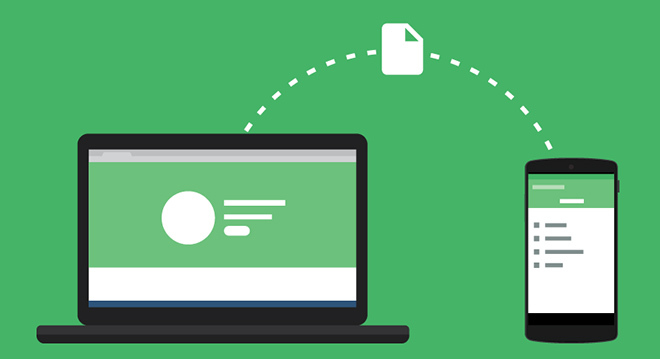 Pushbullet introduced a new Portal app that allows transferring files from a computer to the target Android device directly over Wi-Fi. So if you have some large files on your PC or Mac, you can use Portal app to transfer them to the Android phone or tablet without having to connect it physically with the computer. Portal app from Pushbullet functions very similarly to popular AirDroid, which offers more features than simple files transfer. To get started, you have to use the Portal app to scan the QR code at the Portal web page as it appears on a PC or Mac. Once connected, you can simply drag and top the files on the Portal web page and the Portal app also shows the files that have been transferred on the phone so that the you don’t have to go around hunting for it. Pushbullet app already had files transfer feature but one had to really haggle to fetch them. Now Portal also makes it possible to send files in groups. Portal app is available for free at the Google Play Store.